....The sheer tranquility and beauty of goose wood, with its twenty grassy acres punctuated with woodland areas, provide the perfect haven for relaxation and exploration of the many facets of this beautiful county. Every visitor to Goose Wood is special. We strive to strike a happy balance embracing the needs of youth with quiet relaxation. All hard-standing pitches. 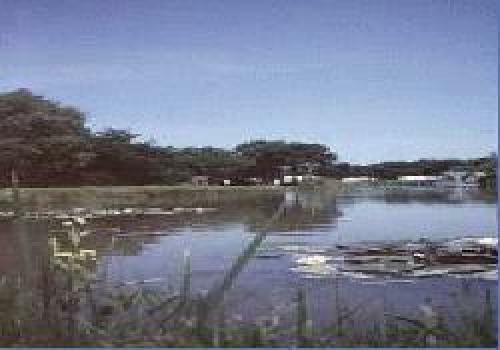 Fishing lake, childrens play area. Near to York. NEW HEALTHSUITE NOW OPEN. Nearly within walking distance lies the pretty village of Sutton, with two Inns, a lovely Hall and beautiful gardens, and 10 minutes away is the Waterworld leisure pool. Using the convenient park & ride York is close at hand, with its innumerable attractions; Jorvik Viking Museum, North York Moors, National railway Museum and the castle museum to name but a few. In every direction, stately homes, abbeys, coast and countryside beckon the explorer. As you might expect, were on hand to provide what might be described as a full tourist information service!